Home » BJJ Belts & Promotion » Should a BJJ student be able to tap their instructor? Should a BJJ student be able to tap their instructor? If the instructor does his or her job, yes. One of an instructor’s duties—and there are many of them—is to help students learn jiu-jitsu, which will include steering them away from the road blocks and pitfalls that slowed his or her own progress. For a gifted instructor, this means that what took the instructor six months to master could take the student three months to learn. Even if that disparity is much smaller, eventually the student will catch up to the instructor. In a way, the greatest compliment an instructor can receive is to have students that are now skilled enough to tap him or her out. The other reason that a student could tap an instructor is because the instructor is letting the student win. This is a common teaching tactic as it helps students to see opportunities and learn to attack in a completely controlled rolling environment. 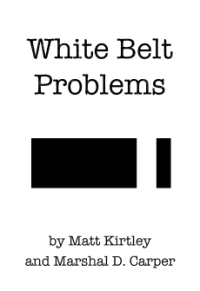 If you are a white belt and you tap your instructor, your first conclusion should not be that you are better than your instructor. If you are a black belt and you tap your instructor, tell your instructor thank you.